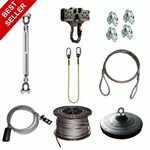 If you are looking for a quality family zipwire that can give the whole family many hours of fun and excitement, then you have found them - just here. 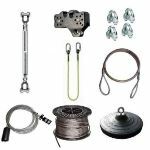 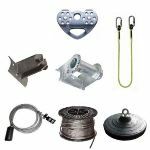 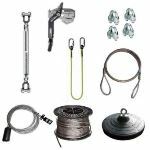 These brilliant 10mm zipwire kits are available in various lengths and can easily be fitted between two strong trees in the garden or if you don't have any trees, that's not a problem as you can also fit this between two support A-frames. 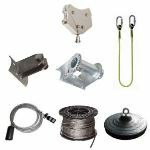 These 10mm zipwire kits have been put together by us with three things in mind. 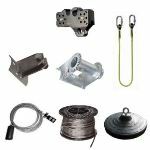 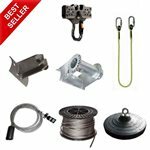 The first is so that the whole family can have fun, the second is to offer zipwire kits using quality equipment and is easy to install and the third is to do all that at affordable and sensible prices.